Stone Reader has a delicious premise. The director, Mark Moskowitz, a voracious and life-long reader whose library has followed him around from youth to middle age, revisits a book called The Stones of Summer that he first acquired in the early seventies, after he’d read a rave review in The New York Times claiming it as the book of its generation. Moskowitz tried it on two occasions and put it aside, but now, nearly thirty years after its release, he reads it from cover to cover and finds it enthralling. So he checks on the Internet for other works by its author, Dow Mossman, who wrote it as a young man, just out of the University of Iowa writing program. (The Stones of Summer began as his M.F.A. thesis.) To his surprise, Moskowitz can’t find any other works by Mossman, or any further references to him or to this prodigious debut novel. So he sets out to find Mossman, and to learn why he never published anything else. 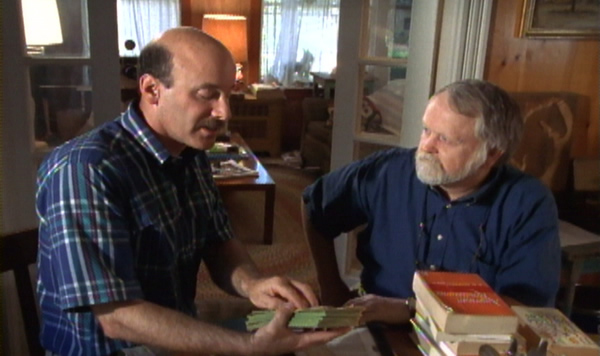 His quest, which becomes an obsession and takes up a couple of years of his life, has him journey to New England, Manhattan and Iowa and puts him in touch with a variety of people who were once linked to Mossman or to the Iowa writing program, or who can shed light on the elusive and exasperating publishing process. 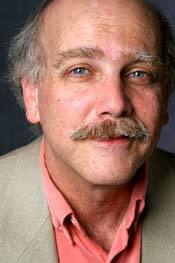 He interviews former New Yorker chief Bob Gottlieb, who, as a young editor at Knopf, was instrumental in getting Joseph Heller’s Catch-22 in print; the literary critic Leslie Fielder (in what may have been his final interview); Frank Conroy, head of the Iowa program, and William Murray, whose tough-love approach to his students at Iowa both battered them and left them grateful admirers (and to whom The Stones of Summer is dedicated); John Seelye, who wrote the review in the Times; and Carl Brandt, Mossman’s agent at the time when he put out the book. He even tracks down the artist who designed the cover. This one-of-a-kind documentary, which is funny and affecting and continually surprising, isn’t only about the vanished author and his disappearing book. (Moskowitz locates a handful of copies on the net, as well as a wonderful anecdote: someone remembers sitting next to a woman on a plane who carried a copy with her wherever she went, just in case she found other readers who adored it as much as she did.) And it isn’t primarily about the vagaries of publishing, though what we learn about the ease with which a gifted writer can slip through the cracks is enough to give an aspiring novelist nightmares; there was one sitting near me, who confided that after seeing the picture he wasn’t sure he could return home to his laptop. Stone Reader is a paean to the joys of reading – to the way the books we love come to reside within us, shape our friendships, in some significant way define who we are. “When I read Dickens,” Conroy says wistfully, “I can feel the old man over my shoulder,” and all of us for whom books are indispensable know just what he means. There’s a charming scene where Moskowitz and one of his childhood friends wander through the children’s section of the library they frequented as kids, recalling when they read certain books and exchanged them, and how those books led them to others. Moskowitz also talks about a bookstore he discovered in his adolescence, where he found Catch-22 and graduated to adult reading tastes. He’s the ideal reader, the one Mossman or any author must fantasize about. Books matter so much to him that when he drives out to spend a couple of days with Seelye, he stocks his car with novels and literary criticism that might just come up in conversation. And sitting opposite Brandt in his Manhattan office, he stacks up the books that have made his private list of the best first novels of the twentieth century – saving The Stones of Summer for last, to gauge Seelye’s response. Moskowitz’s mother taught him how to read because she couldn’t wait to share her favorite books with him. (As of the film, which came out in 2003, she was still alive and they were still close.) And late in the movie, he includes a scene where his own son tears open a package from Amazon and sits down eagerly in the living room to begin the treasure he finds inside – Harry Potter and the Goblet of Fire. Stone Reader, with its ambling, picaresque form and its marvelous, quirky cast of characters (my favorites are the novelist and teacher Bruce Dobler, who tells a peerless story about William Murray, and Murray himself, with his sticky brogue and little boy’s giggle and undiminished sense of wonder), is a movie every devoted reader should love, the way we love a classic narrative. And what does Moskowitz find at the end of his quest? See for yourself. I’d no more reveal the answer than I’d blab what happens at the climax of an adventure novel I wanted to pass on to a friend. Note to readers: Mark Moskowitz's Stone Reader will be screened at Ryerson University in Toronto as part of their annual Silver Screens Arts Festival currently running until Sunday, June 3rd. Critics at Large's Kevin Courrier will be introducing the film and speaking to special guest Mark Moskowitz after the screening. 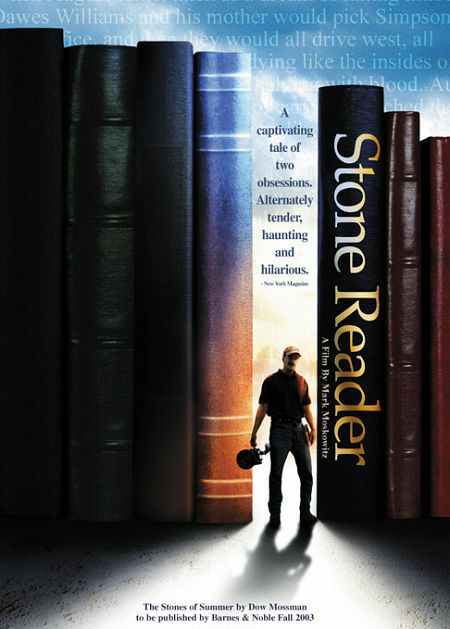 Stone Reader still has tickets available and will be shown on Saturday, June 2nd at 6:30 pm. See the schedule on our home page (right sidebar) for location and ticket information.